I have a few recipes that we use a lot for snacks and lunch boxes. Why not share them! These recipes are really easy to make, use basic ingredients that we usually have in the refrigerator or cupboard. They are also child friendly, the kids can help to make them or older children can make them independently! We use these for after school snacks, they are great in lunch boxes or add some salad and serve for dinner. I have mentioned these recipes before and the Quiche is the same Caspar (8yrs) recently made. Preheat oven to 180°C. In a bowl combine cheese, onion, bacon, tomato and parsley, toss through the flour, ensure the flour is evenly mixed through and then place in a baking tray/quiche dish. Whisk eggs and milk together and pour over the bacon mixture. Cook for around 40 minutes or until quiche has risen and is golden. Preheat oven to 180°C. Cook pasta. Set aside half a cup of the pasta water when straining. Use a blender (I use a small food processor) to combine spinach and milk until smooth. Set aside. Melt the butter in large pan, slowly add flour whisking to make a roux. Continue whisking and add the spinach and milk mixture. Simmer while whisking for 3-4 minutes. Add cheese and reserved pasta water to the pan and stir until the cheese is melted. Add cooked pasta and green vegetables to pan and stir. Pour into small baking dish and bake for around 20 minutes or until the pasta is set and the cheese is golden. Optional to top with additional cheese. Preheat oven to 180°C. Beat eggs and combine all ingredients (put in flour last). Mix well to ensure there are no lumps. If I have parsley I will often add a handful of chopped parsley to the mix. Pour into baking dish and bake for 30 minutes or until golden. I have also been baking Zucchini, Cheese and Pasta Slice from Donna Hay. It can be a little bland so I switch around the cheese (today we used goat's cheese). I also love to throw together a quick vegetable frittata which again uses lots of eggs and any vegetables we have. I don't know how any of these freeze but I really should give it a try. Please feel free to leave a link to any recipes you think we might like! Montessori, Waldorf and Just Plain Cute Pencil Holders! I love organised, cute and colourful children's spaces! I also love wooden pencil holders. Some of these are specifically Montessori, and some are more Waldorf, but they are all fabulous for keeping order and looking after those lovely pencils! In Montessori classrooms, pencils are often sorted by colour (1, 2, 3 - however 6 & 7 would be great DIY options). Pencils are often presented near materials or on a tray in little holders (4 & 5). These are useful when an activity only requires one pencil (handwriting) or two or more colours (metal insets). In a Montessori home, I would encourage many of the 'fun' options (8, 9, 11, 12, 13) as they ensure the pencils are stored in an orderly way, are looked after, easy to find, accessible and can also look really beautiful. Waldorf children often use handmade pouches, or pencil rolls (for young children crayons are favoured). These can be hand sewn or made with wool felt. I love the Waldorf focus of hand craft and using natural fibres and fabrics. Both philosophies encourage children to respect and care for their materials. For Waldorf style pencil holders (10 & 14) they are simple and natural and would look beautiful in any environment! Waldorf pencil holders are often designed to hold Lyra pencils, it's a good idea to check the size before ordering. 1. Set of 11 Colored Pencil Holders (Montessori Outlet) / 2. Wooden Pencil Holders (Montessori Services), (similar in Australia) / 3. Set of 11 Colored Pencil Holders (Pink Montessori). 4. Montessori Holder Three Pencils / 5. Pencil Tray (Montessori Services) / 6. Unfinished Pencil Holder (Etsy) / 7. Wooden Pencil Holder (Absorbent Minds Montessori) / 8. Pencil Tree (Mon Petit Art) / 9. Wooden Pencil Holder (Etsy) / 10. Wooden Pencil Holder (Bella Luna Toys) / 11. Pencil Organiser (Etsy) / 12. Mouse Pencil Holder (The Wooden Wagon) / 13. Snake Pencil Holder (Nova Natural Toys) (also available here) / 14. Pencil Holder for 16 Colour Giants (Rudolf Steiner Book Centre). 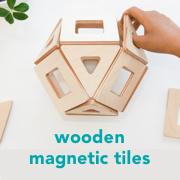 Have you seen this Cubetto Montessori inspired coding toy (for children three years and up)? I would love to give it a go! Do your children have clear and specific interests? For months now Otis has been interested in nocturnal animals. He loves books and stories about what animals do at night (above Bat Loves the Night with CD and Who's Who in the Woods) and he sits on our balcony at night to look for possums on our power lines. Caspar is currently trying to memorise all of the dog breeds! For Australian parents, did your children sit NAPLAN this month? Mine didn't, Caspar was eligible and I allowed him to make the decision. Perth Montessori School explains NAPLAN tests are 'not a total measure of who you are'. This article In Charter School Era, Montessori Model Flourishes gives some insight into public, magnet and charter Montessori schools in the US. I love this article - so many ideas 16 Montessori Friendly Closets. I adore this video - drinking from a weaning glass at 7 months! Susan Stephenson (from Michael Olaf, also the author of The Joyful Child) has recently released No Checkmate - Montessori Chess Lessons. Caspar loves playing chess so I can't wait to read this! I love Susan's writing style and how she communicates with parents. I would like to introduce to you to our site sponsors including Maitri Learning, Dougie Organic, Flockmen and M.Vita Montessori Materials! All companies I trust and believe in. Do you need some self care? This week I have been enjoying the Love Soul Aid Kid with book from Lemon Canary (book available here in the US). Thank you for your support on my post about speech therapy. Talking about our children's problems or issues is not always easy! I hope you have a wonderful weekend! I'll see you back here Monday! Do your kids pick up and put away their toys? Mine do… most of the time. My kids absolutely make crazy and wild messes but cleaning up and putting away is a priority. Why? We value and respect our materials and our toys. When we respect something we take care of it. We appreciate it. We look after it. When toys are put away they are less likely to get lost or broken or damaged (or stepped on!). We value our environment and our home. We respect the people we share our environment with. We look after our spaces and ensure they are functional (a bedroom isn't functional if we can't move around it). We respect that others live and work in our environments. We value order. We value being able to find our toys. Ever had a child get frustrated because they can't find a toy and need it now? We like to know where our toys are and where to find them. We work better when we can find our things! Teaches natural consequences. This is so key! If we pick up our toys our spaces are in order, we have clean work and play areas and we can find our things. Not packing up also teaches natural consequences, if we don't pick up, the place is a mess and there is no clear space. However continually picking up after your child, especially in older children 3 years on, does not teach natural consequences. If parents always clean up after the child, the child only learns that they can make a mess and it will magically be clean the next day. Teaches responsibility. Children can begin to have ownership over their own areas such as their bedroom, especially as the child ages. In our home the child's responsibilities increases with their age. You may not expect a child of three to take responsibility for their mess or area but what about at five, six, seven, at eight? At some stage we need to accept that our children will benefit from taking responsibility for their actions. Children learn good life skills. Tidying, sorting and organising are really good life skills to have. We can help our children by teaching these skills when they are young. So how can we help and encourage our children to clean up after themselves? Provide an orderly, beautiful environment to begin with. If a room or space is cluttered, if the child is overwhelmed with toys, there is little hope of them cleaning up and putting away. Children need to know where their toys go, where to put them. This needs to be clear and obvious. Set the child up for success, make it easy for them to clean up! Be consistent with our expectations. Children need to know what our expectations are - so they can meet them. The school environment is a good example of this. The children very clearly know what is expected and this is why they pick up after themselves at school. At home children need to know what the boundaries are, if they need to clean up after each activity, at the end of the day, or if they can leave their things out, what needs to be packed up? As as example… in our home our children are allowed leave their blocks out, they often have large creations they want to work on over many days, however the blocks need to be kept on a (large) rug, the rug defines the area and the children know this. Be a good role model. It's difficult to expect our children to clean up if we don't (to some level) clean up after ourselves. We need to show our children that we value our things and our environment. If our children see us packing up they are likely to do so too. Clean up together. Especially with young children but I will still do this with my eight year old. Often their mess is just overwhelming. They might like company. Show them they are not on their own - support them. Cleaning up together can be more fun, takes less time and often encourages a reluctant child to participate. Start when they are young. I don't expect young children to clean up after themselves, however a toddler will often love helping, packing up blocks if you do it together in a fun way. With a young child we can teach through demonstrating that putting away the activity is a part of the activity. If we make it routine from an early age, cleaning up is not such a big deal. However for a child who never has had to clean up after themselves it can be really difficult. Make it routine, make it a habit. Break down the task. If the child is overwhelmed help them with clean up. This is especially important with older children, 3 years on when their mess might be more complex. Show them where to start, 'perhaps we will pick up the blankets first, then we can put the cars in this basket' or 'can you pick up the cars and I will pick up the dolls' or 'cars go in the red basket, play silks go in the round basket…'. Please know I am not writing about perfection. It is about teaching and creating good habits and living in beautiful spaces. We need to decide what level of order is important for us and be consistent with our children. My point above about natural consequences is really important as is empowering our children and giving them the skills they need. You might also enjoy my recent post on Why Shelves Work Better Than a Toy Box. My children need speech therapy! Both of my children need speech therapy. Caspar started when he was three and Otis started when he was four. They meet with a Speech Pathologist every week at school. They have work that they need to do at home. It is usually short repetitive work, involving games or crafting, where possible. It is a significant part of our life. My children don't need short term, quick fix therapy but rather long term, hard work therapy. Caspar has tongue thrust. This means he needs a lot of work with his swallowing in addition to his speech. There are many things that can cause tongue thrust in children (thumb sucking, being tongue tied) however we can't find a reason and accept that it is a part of him. Until recently he couldn't 'click' his tongue and although he could make all sounds he didn't in his everyday speech. He has a lot of hard work to go. Otis was still sticking his tongue out (between his teeth) when saying the 's' sound and this was a big give-away, while this type of behaviour is expected in a younger child he shouldn't be doing it at his age. Otis' speech concerns are less obvious than Caspar's however Otis still needs a lot of therapy. Otis works with one sound at a time. He works through this sound in the initial, end, and middle (medial) position in a word. He works on individual words, then uses these words in sentences. It can be draining and we can get down about the therapy, but it could be worse. We are fortunate that we have access to high quality therapy. My children can communicate verbally but it's just not very clear and it has impacted their learning. If a teacher (or other care giver) raises concerns about your child's speech, have it checked out. See a Speech Pathologist for a quick assessment. Teachers see and hear many children every day. They may hear things we don't pick up. Trust their advice. If you have any concerns, any concerns at all, see a Speech Pathologist for a quick assessment. Getting an early assessment is important. It means you can combat any criticism (rather than internally worrying 'is everything alright? '), it means you know up front what the issue is and how to help your child and your child can get the best treatment as early as possible. There are many speech issues that get worse as the child ages, many speech concerns will not 'fix themselves', children won't always 'grow out of it' and it can negatively impact on your child's social experiences and learning opportunities. General Practitioners and Paediatricians are also good starting points. If you are seeing a Speech Pathologist and are not happy or not comfortable I recommend looking around to see if there is a better fit for you. This has happened to us and getting referrals from teachers was really important. When two trusted and independent teachers recommended the same Speech Pathologist we knew we had to give her a try. Our current Speech Pathologist (who the kids love) was Montessori educated and I feel this really impacts on her ability to connect with and 'get' my kids and how they learn, and how to be really productive in what is usually repetitive work. Please feel free to ask questions. I am not an expert in speech however I've had a lot of experience with my children attending therapy. If you are concerned about your child's speech or development there are a few charts around and this post When are Speech Sounds Developed? might be useful. Otis pictured above is using Articulation Station. Open and close activities are ideal for the home environment, for children typically one to two years however a three or four year old might still enjoy them. It's easy to mix them up, swap around and make more challenging when needed. Most of the containers for this activity can be found at home. However, I have found the most interesting containers are those I've seen in schools where unique and intricate containers have been collected over many years and often from around the world! I hope you've found some good suggestions. There is also a really lovely and practical post about open and closing at Itty Bitty Love! Matching Games and Toys for Children 2-4 Years. We know that matching and sorting games are really important for the child's developing cognitive skills. The child learns visual, auditory and tactile discrimination. In many cases the child is also learning shape and colour recognition and developing lots of practical and fine motor skills. There are millions of toys available and sorting through them can be difficult. Here are some of our most used, most recommended, fun, matching and sorting toys for children two to four years. 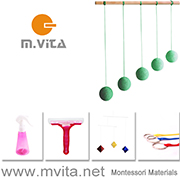 Keep in mind these are not Montessori materials but rather toys I would recommend for a Montessori home or playgroup, and many of these would be suitable for Montessori toddler environments. This is written in partnership with Child.com.au. 1. Egg Shape Sorter, 2. Shapes Wooden Memory, 3. Wooden Matching Game Patterns, 4. Cylinder Peg Board, 5. Matching Textures Bag, 6. Feel and Find Game, 7. Pattern Blocks and Boards, 8. Touch and Match, 9. Wooden Match N Shapes Game, 10. Colours and Shapes Game, 11. Florist Matching Game (also love the Happy Birds Matching Game), 12. Sound Matching Gem Blocks, 13. Magnetic Match Rings, 14. International Flag Matching Game, 15. Feelings and Emotions Matching Pairs, 16. Baby Animal Matching Game 17. Soundtracks (CD and sound matching game). Meet Miss Rhonda (and lots of early reading tips)! I really admire the beauty in Montessori classrooms. Beauty of the environment, beauty in the work and beauty within the people. Miss Rhonda and her classroom (pictured above) radiate warmth, beauty and calm. Miss Rhonda is the author behind the Miss Rhonda's Readers series and most importantly she is a teacher. I asked Rhonda to share with us a little about her reader series and her experiences in early literacy. Can you tell us a little about yourself, your classroom and how you came to writing Miss Rhonda's Readers? I became interested in Montessori when my daughter attended our local Montessori School. For three years our school was an AMI training center in the summer. I then became a guide at the Casa Montessori School in Marietta Georgia. I have been there for my entire career. I have taught for more than 20 years. I was always unhappy with the books available for a child's first reading experience. Rats, vans, pans, ham, without a story line at all. My training was to write individual stories for each child which I did. My readers are an extension of these stories. I would hand-write and illustrate them and bind with a ribbon...a gift to keep. My stories all spend a few months in my classroom to make sure they capture the children's interest. We edit them together for the final version. I believe children should read lots and lots of words first before being introduced to their first book to read themselves. My books are mostly phonetic, but I include a few words that are not phonetic, so they are not defeated later when met with all the odd discrepancies of the English language. I also believe the story should be the reward (not a sticker) so the story should be a good one. When I read with my children at school, I am so happy they usually comprehend the story and enjoy it. Many people tell me words like hamster seem too long for first readers. I have never had a child have a problem with hamster and they love that they can read a word that long...confidence! I find one of the hardest words in my books is 'gets'. Short but confusing. Guess what I am saying here is that there is 20 years of experience and a lot of thought in these stories. I would love to hear, what are the favourite or most-read books in your classroom (other than your readers)? This year my class seems to be really interested in factual books. I find many of children's science/nature books have way too many pictures with separate captions on a page. We are enjoying the National Geographic early readers series 1 and 2. Even if they cannot read the whole book they can learn a lot from the pictures. They enjoy writing a short (usually about three sentences) research with a fun illustration. I am not above enticing the child to write by offering the opportunity to do a fun project after... beaver lodges with sticks and mud, performing a short play, digging for rocks outside. We also buy many of the books from Montessori Services. After reading most of my books, I love to use some of the books from Flyleaf Publishing. Sunset Pond is my favorite. The stories are interesting, and the word selection is wonderful. The books are about 30 pages long, but the word selection is so great the child can really complete them. Such a confidence boost to the child. I use the philosophy if you want to have the child try harder/longer words then just read words. If you want to increase endurance, then use mostly phonetic words but many of them. Flyleaf does that. Many of their books have realistic stories but not all so you have to pick the ones that look right for your child. They have an interesting story about bees swarming but went out of their way to put the queen in a crown with a teacup which sort of wrecked it. When I choose books for my class I always read through it and after all these years I just kind of know what will work. I almost always purchase "real" stories that also entertain me. If it is boring to the adult, it will always be boring to the child. I know your readers are used in Montessori classrooms around the world, how do you suggest parents use them at home? I feel children benefit greatly with gentle support from their parents in learning to read. In my classroom, I feel children generally begin to learn the letter sound around 3 and 1/2 and maybe read short words around 4. I work with a child long enough to see if it will be easy for them to learn the sounds. Some children need a little more support throughout the process, and I make sure they get it. Sound games are a wonderful way to do this in a fun way. I love my new sound game cards and so do the children in my class. I think parents should start reading words with their child before attempting a book. It takes a while to develop a good working style. If a child is struggling, I am always honest. I say this is important work so let's do a few more. I also tell them they are learning to work hard which is a wonderful thing. Parents can do the same. I love it if the parents save my books for the child to read first (not to be read to by their parents). Again the story is the gift so why not make the gift a surprise that the child "unwraps" when they are ready. I am also excited to be involved in helping to open a Montessori School in Haiti this summer. I am in charge of acquiring the supplies needed to open, and I will travel there with the teacher to set the school up this summer. I am so excited to think about the practical life opportunities. I am hoping for goats. Thank you for sharing such wise words with us Rhonda and best wishes for your important work in Haiti! You can follow Rhonda on Instagram here. In the US Miss Rhonda's Readers are available here and for international shipping we recommend purchasing with Amazon. HWM Shop also stocks a small range of Miss Rhonda's Readers for Australian customers. When I had my first child, my instinct was to buy a lot of (bright plastic) toys and throw them into a big toy box. It was all I had ever known (or seen). Clean up at the end of the day was easy, I just scooped all the toys up and threw them back into the toy box. I noticed though that my son wasn't engaging with the toys, there was a lot of dumping and throwing. Was there another, better way? While reading about Montessori, I learnt there was a better way. Over time, we replaced our toys (the ones that weren't being played with) with developmentally appropriate toys. I used baskets to keep like toys together. Once we had some low shelving, I placed our toys on our shelving, with some toys still in baskets on the floor. Of course, it made a big difference. Why do shelves work better than a toy box? Visually more appealing, toys are beautiful, why not display them, use them to beautify the environment. Overall I find that shelves allow us to be more respectful of our materials and toys. They are stored in a very orderly manner. The children can see all of their toys and can access them easily. The top picture is of our shelves as they are currently, these materials would not typically be stored in a toy box, but I love how the shelves look and the use of trays and baskets. You might also like to read Your Baby's First Montessori Shelf at Montessori 101, Montessori Philosophy and Practice Age 1-3 Years Toys at Michael Olaf and Montessori Toddler Shelves to Love. If you are new to the Montessori concept of Cosmic Education or wondering what it is, this is a good article, Integrating Cosmic Education into Everything by Montessori Kiwi. Another really good article about Cosmic Education through the years in the Michael Olaf Newsletter: The Child's Discovery of a Global Vision. I have been enjoying This Merry Montessori, which currently has a lot of Montessori at home ideas and concepts for a 14-month-old toddler. I adore this wardrobe make over at Apartment Therapy. There is something very Montessori about it, especially the cozy reading nook and lowering and simplifying the child's clothing! Why Our World Needs Montessori at Montessori for Everyone. What You'll See in a Great Montessori School at the Montessori Pedagogy Blog at Maitri Learning. Makes me realise that all the Montessori schools I've been fortunate enough to observe at have been great Montessori schools! "Creating space and time for refuge from an over-whelming, busy and noisy world – a world full of bling, demands and chatter – is a possibility and a gift we can give our children in our homes." This is a lovely article Creating Sanctuary at MariaMontessori.com. A super cute climbing frame and boat at Midwest Montessori. When I found out Simone was moving, I couldn't wait to see her new classroom. Tour of a Montessori Toddler Classroom in Amsterdam (pictured above) at The Montessori Notebook. I love peeking into toddler classrooms, and this one is exceptional! Every picture is perfect! Please feel free to leave a link to what you are reading! Science Materials - a torch, light crystal, magnets. Sources; Feathers: Not Just for Flying, Light (My First Discoveries), Digger, Green, Montessori External Parts Books, Little Honeybee (lift the flap) with Flowers. How we Use Essential Oils - with Children. We use massage, yoga, guided meditation in our home and we also love to use essential oils. Here are some of the ways we use essential oils at home with our children. This is written in partnership with ECO.Modern Essentials (available in the US here). Bath - we use a couple of drops in a carrier oil. Bath Salts - if used in the bath, it is really important that children do not ingest the water, we add a couple of drops to epsom salts. Massage - in a carrier oil. Room Spray (or Pillow Spray) - we have two bottles, one with a 'dream' blend the other with a 'happy' blend, we add a couple of drops to distilled water in a small spray bottle (you can add alcohol such as vodka to disperse the oil). We often use our dream blend as a pillow spray, which is also fantastic when travelling (and to create a comforting home smell), however be careful as some oils may stain. Vaporisation - we use a cool ultrasonic vaporiser, this is our most used option! It makes the whole room smell dreamy! Play-dough - mix a couple of drops into the dough. We also have a little vaporiser that can be used in my laptop or in the car. I also love to use candles made with essential oils. Lavender - an excellent all rounder, calming and relaxing, to encourage sleep. Lemon, Orange, Mandarin - helps with concentration and focus, stimulating for the mind. I love all citrus and find it uplifting and refreshing. Spearmint - refreshing and sweet scent, stimulating and uplifting. Dream Blend: Lavender, Geranium and Ylang Ylang - to encourage a restful sleep. Happy Blend: Orange, Lavender, Patchouli and Rose - to promote calm, wellness and happiness. We recently used Grapefruit, Lemon and Peppermint in play dough and it was wonderful! Some essential oils are not suitable when pregnant or for infants and young children. Check with your supplier or medical practitioner if unsure. I use small quantities with children, not adult doses, using a carrier oil is important, I do not apply essential oils direct on the skin. Do not ingest essential oils. Always consult with a medical or aromatherapy professional or practitioner for advice using essential oils with an existing medical condition, such as high blood pressure. It is really important to use quality essential oils from companies we trust. ECO.Modern is Australian made and is available in the US here. Bathtime should be practical but with children, it can also be a bit of fun. We are intentional about all toys we bring into our home and bath toys are no exception. We rotate some of our bath toys with the materials on our water table however for most of these toys, the children have used them for years. Model animals. We love the large Schleich whales and sharks. These are awesome bath toys and get used every day. We also love the octopus, rays, dolphins and other sea life. In recent times, smaller model animals such as the fish and starfish in Toob sets have become well used also. The model animals can teach the child so much about the world around them and allow for role play and so much more. Water pumps and water wheel. We have seriously used these for years. They will interest a toddler as much as they will interest a preschooler. Hand pumps and water wheels allow the child to splash around, have the sensory experience of water play without any stress about clean up and allow the child to naturally explore the properties of water. Toy boats. We rotate our boats with our water table and as all of our boats are wooden we need to be careful about drying them out. Toy boats are great for role play, exploring the properties of water, the structure of boats and learning about power. We have the wooden paddle boat that is powered by the rubber band and the boat powered by the balloon - these are both fantastic. We also have a wooden sail boat and the wooden raft with are great for general play but also for learning about wind! Other toys that we have used intermittently in the bath include; pipettes and a large plastic baster, small watering can, sieve, measuring cups, plastic pitcher, small spray and pump bottles, spoons, whisks and other household items. The boys have also used a bird warbler whistle, the one that requires water, in the bath too, they are lots of fun (just ensure the child is old enough they are not going to drink the bath water). There are also lots of novelty toys that have value too. I love the look of water flutes but haven't tried them. I would also love to find some natural bath crayons to try! Please feel free to add your favourite educational bath toys! Sources; 1. Toobs Sharks (in Australia here), 2. Toobs Coral Reef (in Australia here), 3. Model Sea Life, 4. Wooden Sail-Boat (similar in Australia here), 5. Hand Water Pump (in Australia here), 6. Water Tower Toy (in Australia here), 7. Water Wheel (in Australia here), 8. Balloon Powered Boat (similar in Australia here), 9. Paddle Boat (similar in Australia here), 10. Elephant Watering Can, 11. Wooden Raft (in Australia here), 12. Origami Boat (in Australia here), 13. Cloud Bath Toy (in Australia here), 14. Water Warbler Bird Whistle (in Australia here) 15. Fun Droppers and 16. Bath Water Pipe Toy (in Australia here). Help me to grow a love of reading! - A Montessori approach. My friend Meghan (a Montessori teacher and parent) wrote this article that I want to share with you. It's about how to help your child develop a love of reading. The article is for young children for infants to toddlers, I couldn't help but to add a picture of Otis (now 5yrs) enjoying reading in his little book corner. I hope you enjoy, these ten tips are fantastic and a good reminder to all parents! “Spend at least ten wildly happy minutes every single day reading aloud” – Reading Magic, Mem Fox. The single most important thing you can do to help your child on their journey to mastery of language is to read to them every day. The Montessori approach gives you a chance to introduce your child to the joys of reading, so that the desire to learn how, is created in them right from the start. This preparation for reading helps your child to form the impression that reading is fun, useful, important work. Reading aloud offers many benefits including the foundations of three essential pre-reading skills: phonological awareness (an understanding of the sounds that make up our language), a framework of knowledge (an understanding of how the world works and how things are related to each other), and a rich vocabulary (an understanding of how to use words to express meaning explicitly). So sharing a book with your baby should never be a lesson – you are sharing so much more than the words on the page. You are sharing a view of books as a wonderful and exciting journey to another place and time, and your enthusiasm for the experience is the most important lesson that can be given. 1. We recommend reading at least three books every day. One that is a favourite, one that is familiar, and one that is new. Keeping your books organised into these categories will help you to see how your child’s love of reading is developing. Of course, if your child wants more than three books keep reading! 2. Set up a basket of books for your child to choose from – this is a neat way of letting them guide you in choosing the new books that you will read together. 3. Create an inviting space just for reading. Having a comfortable, well-lit and accessible place to read will help you and your child look forward to your daily reading times. 5. Consider making a book about your baby – filling a small photo album with familiar pictures and a few words of text on the opposite page will be a firm favourite. 6. Make reading a part of your bedtime routine. There are so many wonderful books out there that are perfect for sweet dreams. (This one is a favourite). 7. Keep a mix of fiction and non-fiction books. The differences in style will become a natural point of interest for your child. 8. Don’t limit babies to board books. Most Infant Toddler Communities offer paper pages right from the start – kind of like learning to drink from a real glass, paper pages teach your baby how to handle books with care. Be consistent in modelling how to turn a paper page. 9. Model reading for your own enjoyment. If your child sees you reading for pleasure they will develop an appreciation for exploring books on their own. Children of readers are more likely to be readers themselves. 10. Try to choose books with illustrations that are accurate depictions of reality. Don’t limit your choices to books with photographs only – illustrations add a unique twist to the meaning you get from each book. Just try to stay away from flying elephants and talking teddy bears...your baby is relying on the experiences you provide for them to work out how their world works. Give them the proper tools to build this framework! Do you want to read about eight awesome Montessori families to follow on Instagram? On some level I have connected with all of these families. These Instagram accounts capture the essence of Montessori in the home; they are peaceful, calm and inspiring. They make my heart sing! Check them out for yourself! Our Montessori Life (Canada) - I am sure you have read Beth's blog and her Instagram account is lovely too. Beth is a Montessori teacher and she posts regularly about her Montessori life with her two children. Montessori Carrie (Canada) - Carrie owns a Montessori school however these glimpses are of her family life and the daily happenings with her daughter. The Kavanaugh Report (USA) - Nicole's Instagram is full of everyday life with a busy, active family. Emil Und Mathilda (Germany) - Raising two beautiful boys, lots of infant and toddler inspiration. La Semaine Montessori (France) - Lots of imagery of Montessori learning at home. Eltern vom Mars (Austria) - Amazingly beautiful photographs! Montessori on Mars (Philippines) - Mars posts lots of activity ideas and pictures of her home environment, she is such a loving and gentle parent and this really comes through. Planting Peas (Canada) - Elaine is homeschooling two boys (2 and 8 years old). I enjoy reading about what they are doing - I feel our children have similar interests! Of course, you can follow us here (Australia). I Learn Too, Naturally Curious Children, A Day in First Grade and The Work Space for Children. If you love Instagram you might also be interested in Six Montessori Schools to Follow on Instagram. Please feel free to share your Instagram account or who you enjoy following.